No one will mistake it for the dissolution of the monasteries, the low point of Henry VIII's assault on the Catholic Church. 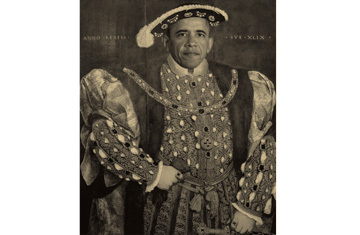 But President Obama is embroiled in his own conflict with Rome, and like Henry, he's the aggressor. The English King won his fight back in the 16th century. He got his six wives and established himself as the head of the Church of England. But unlike Henry, Obama will almost certainly be forced to back down.